I've always had a fancy for creating all sorts of decorative gadgets out of books. Don't fret though; I couldn't possibly do this to one I hold dear. Instead, I'm a familiar face to the thrift store bookshelves. You can always find an old, beat up book with a charming cover, just waiting to be created into something new. I found this gem today and couldn't help but share a pretty project I've whipped up. Enjoy. Supplies: Book (thrift one! ), mod podge, craft glue, fake flowers, pencil, paintbrush, exacto knife. First, open up your book and outline a rectangle leaving a 1/2 inch border all the way around. Begin cutting out the rectangle with your exacto knife using the guidelines you've drawn. Because the paper is so thick, you will repeat this process multiple times. Once you've cut through one layer, simply flip the pages and repeat the process until you've cut all the way through. The pages don't have to line up perfectly. A messy look for this project will give it a unique touch! Once you've cut through all the layers, begin applying Mod Podge on the inside and outside of all the pages, gluing them together firmly. Once it is completely dry, apply fake or dry flowers to the top with craft glue for some pretty decor. 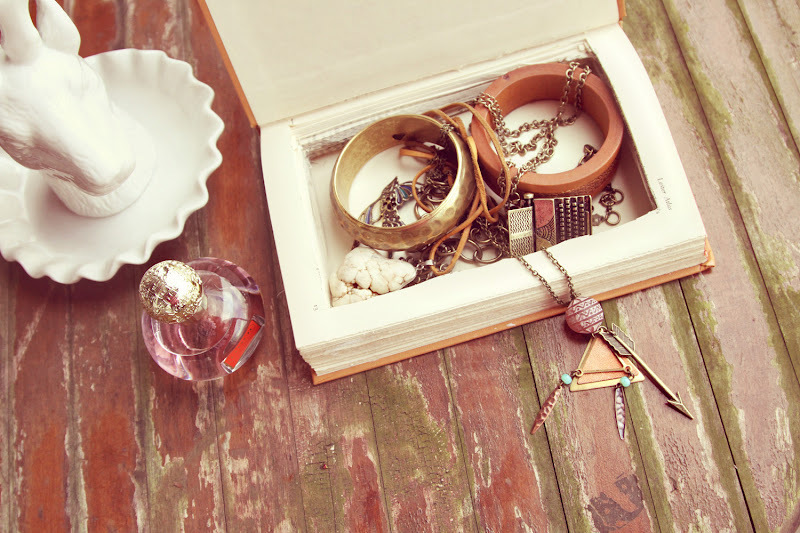 Once it's dry, you're ready to store all of your prettiest jewelry safe and sound! Now that I've successfully fulfilled my crafting urge for the day, I'm off to finish packing our belongings to bring over to the loft this weekend. Wish me luck! You always have the best DIYs! I love this idea! This is so amazing! I absolutely LOVE this! Beautiful job. cuuute! too bad i have way too many accessories to make this actually functional. ahah. You are so creative. I love all of your ideas. I love secret book compartments! I searched for one for ages, but eventually ended up making on for my boyfriends Christmas present. He has a bit of a collection going of ornate and interesting boxes, and I thought a secret book box was perfect! 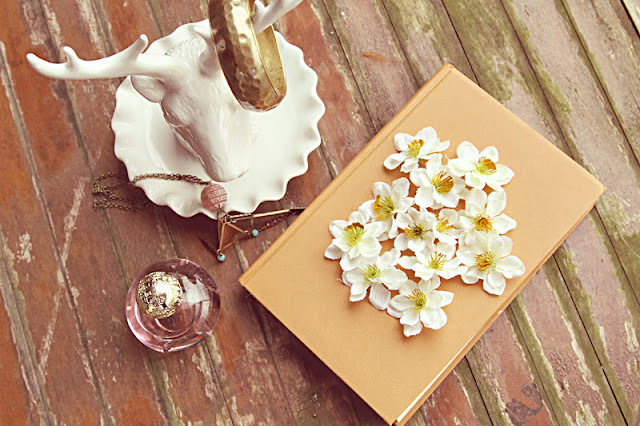 I love the idea of using it as a jewelry box where you can have it out on display, and the cute flower details. I might just have to make another one for myself! awesome! 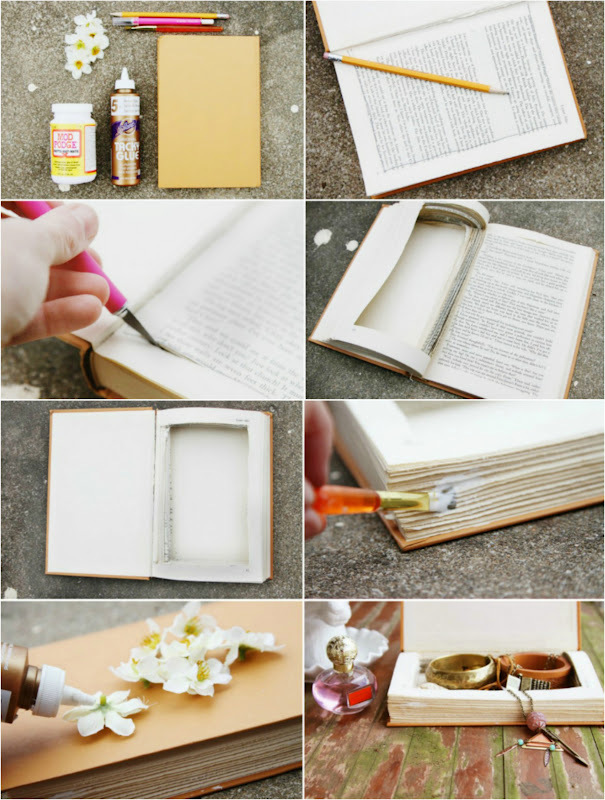 I love making things out of books, and this seems like it would be so fun! I really like it but i couldn't do it. I feel such a sympathy for books, no it;s called a crush. I have a crush! I love them! 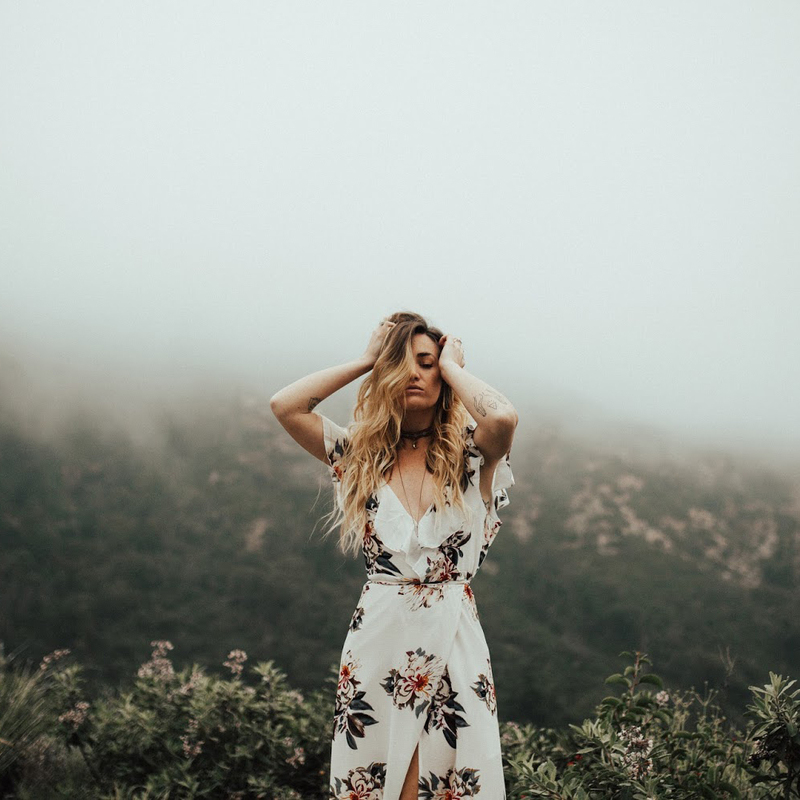 Another amazing DIY Kinsey! I love these hidden book boxes. Never thought to use it as a jewelry box. Love the little silk flower detail on the top. Thanks for sharing. Beautiful photos as well! For sure going to do this! This is so so gorgeous! I love all your posts so much! Oh my gosh! I absolutely love this! So creative! This is so cute! I would love to make one, if I could get myself to actually cut up a book. This is beautiful. I just suggested this for a bridal shower. A beautiful jewelry box. Great idea! Вау, это выглядит очень и очень красиво! Awesome, Awesome! 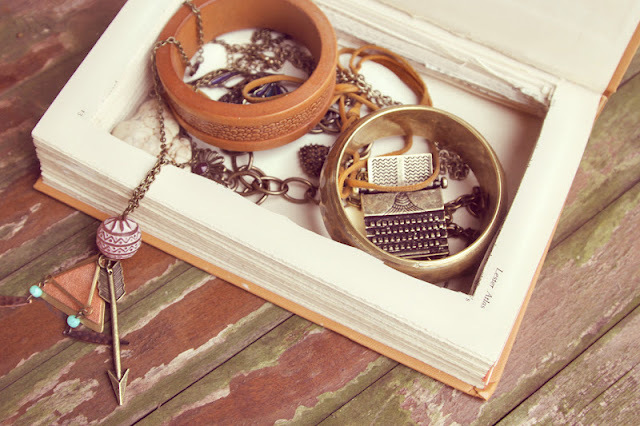 I've seen DIY's about making secret compartments in books before, but I've never thought about making it a jewelry box! How fun is that? Maybe if I see a big fat book somewhere I'll do this. I have an old thrifted book called the collector. Perfect for this. Also this would make a cute package for a gift. Kudos! how cute is this?! i simply love it!!! oooo ! so sweet ! I love it ! You have a lovely blog! Please check out mine? this is such a sweet project, i am definitely keeping this one for future use! So, congrats Kinsey, this is the first do-it-yourself that i feel capable of creating with my two left hands...keep fingers crossed since i want to use it as a present box for my man´s birthday (without the flowers, obviously). Great idea and love the jewellery! I like how it is not just a book safe to be hidden away but prettily displayed on a dressing table. I will feature and link up in a future post so others can come visit. i just had to do this on my own! thank you so much! This is phenomenal. You're perfect. Wow i just love this so much. That's just adorable! I found this looking up "book" projects for my roundup post, so I have this linked! 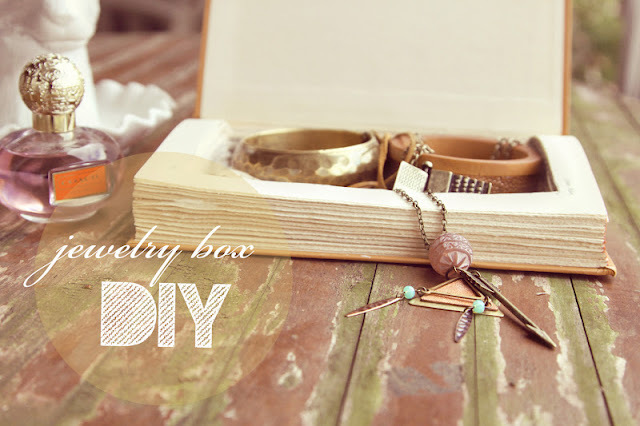 Thanks for posting your jewlery box tutorial! Lindo, amei a ideia, fiquei triste pelo livro! Lindo, amei a ideia, fiquei triste pelo livro! !